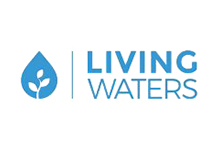 Living Waters is an evangelism resource and training site that helps Christians "share their faith" (evangelism) effectively, biblically--the way Jesus did. Our vision is to inspire in every Christian a God-glorifying passion to fulfill the Great Commission. Our mission is to accomplish this through our award-winning television program, our Ambassadors' Alliance and Academy, Transformed and Deeper training conferences, CDs, DVDs, books, and unique gospel tracts. Our earnest prayer is that God would raise up laborers as never before. Our desire is for those laborers to embrace biblical evangelism, and our aim is to equip them with tools to make the task easy and effective.